NDrive Navigation System already boasts a fleet of navigation apps for the iPhone. Now the app maker has plotted a course for a new destination—the iPad. Ndrive USA HD, rolled out over the Memorial Day Weekend, doesn’t seem to be designed with the kind of in-car navigator features you’d find with NDrive’s iPhone apps. And that makes sense—unless you’ve paid up for a 3G model and a monthly service plan from AT&T, iPads largely rely on Wi-Fi connectivity so an app that requires a constant network connection would seem to be a no-go. For that reason, NDrive is touting its iPad offering’s abilities in viewing maps and planning routes. 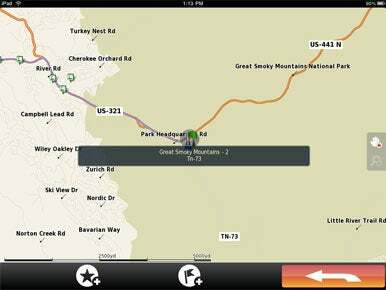 All of the map data for Ndrive USA HD is stored on the iPad itself, so you can always plan out a route even when you’re offline. (That feature also makes Ndrive a fairly hefty download—it’s 1.77GB.) When you are online, the app can use location services to find out where you are in the world. Other features in Ndrive USA HD include an extensive search engine, the ability to flag favorite locations and store itineraries, and support for zooming and panning multitouch gestures, among other capabilities. Priced at $5, Ndrive USA HD runs on the iPhone 3.2 OS.